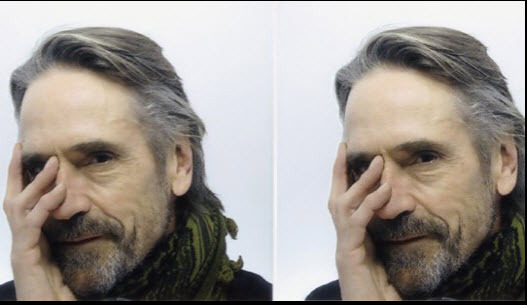 Jeremy Irons has joined the cast of Beautiful Creatures, Alcon’s adaptation of the young adult novel by Kami Garcia and Margaret Stohl. 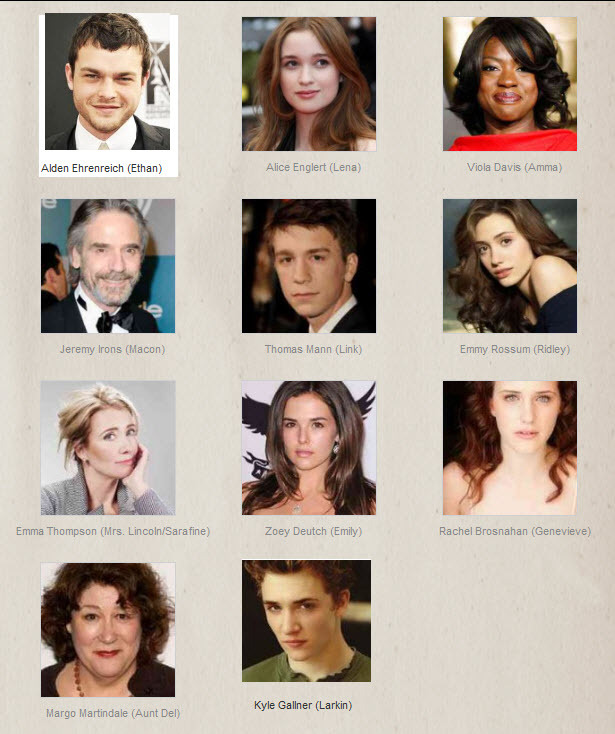 Jeremy Irons is the most recent in a flurry of casting announcements, joining Viola Davis (Amma), Emma Thompson (Mrs. Lincoln/Sarafine), Emmy Rossum (Ridley), Thomas Mann (Link) and relative newcomers Alden Ehrenreich (Ethan) and Alice Englert (Lena). Ehrenreich and Englert are the centerpieces of the coming-of-age story about two star-crossed teens – one a local boy, the other a mysterious new girl – who uncover dark secrets about their families, their history and their town. Jeremy will play the role of Macon Ravenwood, the mysterious and reclusive uncle of Englert’s character. Macon is an incubus who can see and steal the dreams of others. Filming begins in April 2012 in and around New Orleans. Jeremy will likely be on set from approximately April 19 to June 23, after he finishes filming Night Train to Lisbon and before starting production on Season 3 of Showtime’s The Borgias. Richard LaGravenese (P.S. I Love You) will direct from his adaptation. 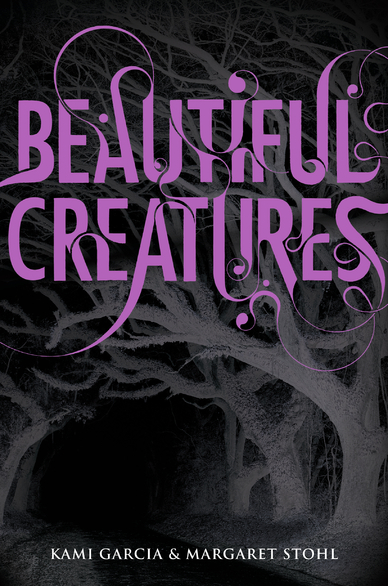 Alcon, which has film rights to all three books in the series published by Little Brown Books, including Beautiful Darkness, and Beautiful Chaos, is looking at Beautiful Creatures to kick off a possible franchise at WB. A fourth book, Beautiful Redemption, will be released October 23, 2012. Alcon recently produced the hit Dolphin Tale, a 3-D family film starring Morgan Freeman, Harry Connick Jr., Ashley Judd and Kris Kristofferson. Irons is repped by CAA and Ken McReddie Associates. 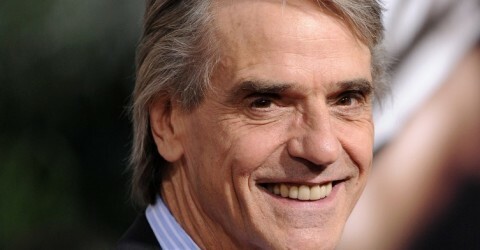 Jeremy Irons currently stars in Showtime’s period drama The Borgias, which returns for a second season on April 8, 2012. Film-wise, he was last seen in Margin Call and will next been seen in CBS Films’ The Words, which also stars Bradley Cooper. 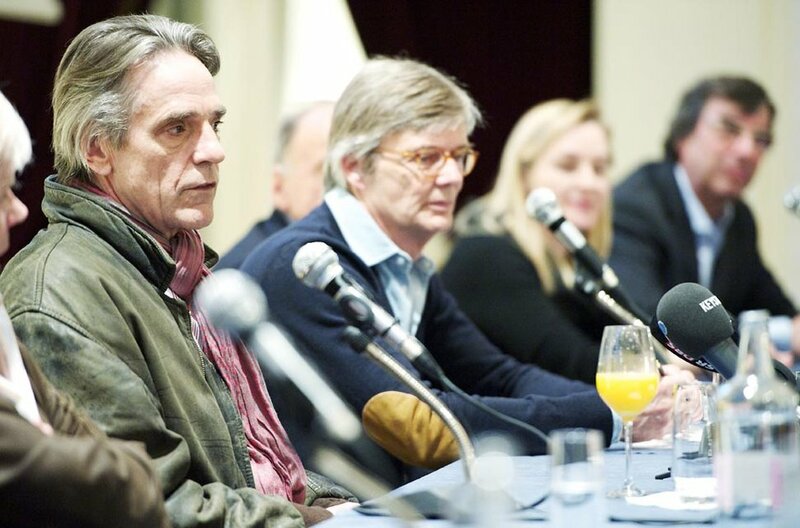 Other future films of Jeremy’s include BBC’s Henry IV: Parts 1 & 2 and Night Train to Lisbon. SOURCE <– See other celebrity portraits here. Some 30 years ago, when Anthony Grant’s father died of cancer at the age of 55, Anthony decided he would do something positive to help people with the disease. He says: “I went home and wrote letters to a long list of well known people I’d always wanted to meet with the idea of photographing them and using my portraits to raise funds for the Royal Marsden Hospital. The response was completely overwhelming and I was soon taking pictures of such diverse figures as John Gielgud, Henry Moore, Anthony Hopkins, Joanna Lumley, Dudley Moore, Harold Wilson, Enoch Powell and John Cleese. Within a short space of time I was able to hold a series of exhibitions of my work, beginning at the Royal Court Theatre in Sloane Square, before touring the country and displaying the collection at many galleries and museums. I wanted to extend the idea, so I approached my sitters with the idea of photographing them in the various guises of the legendary or historical figure they would most like to have been. This produced an extraordinarily varied response and culminated in the publication of my book “Double Takes” (Robson Books). 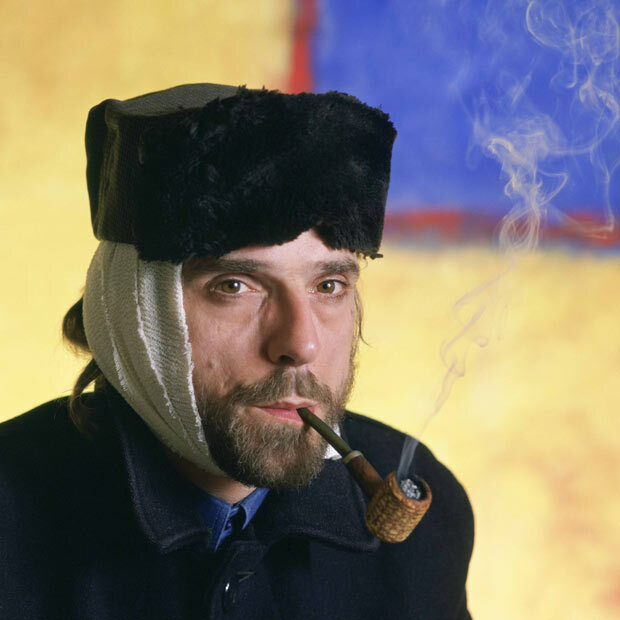 Twenty-five years ago the entire collection was put on show at a fund-raising exhibition at the National Theatre. So it is with great delight on my part that the National has offered to stage a retrospective exhibition of this work from Monday 5 March until 24 March.